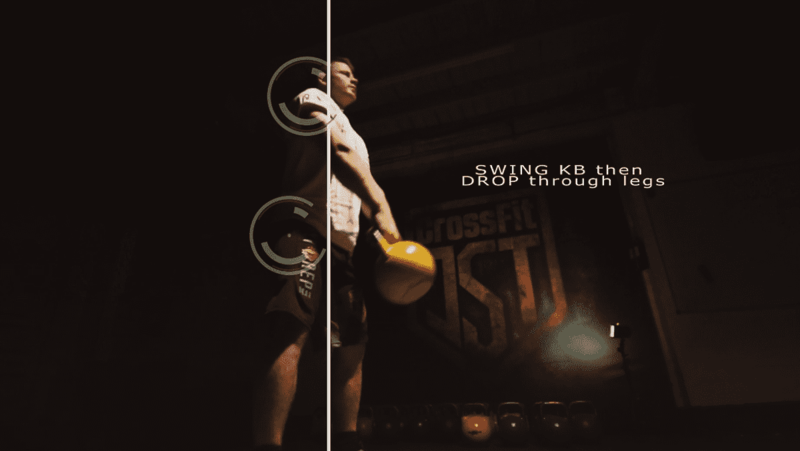 Together with our friends from Scitec nutrition and UK CrossFit Games Athlete Steven Fawcett we are presenting the guidelines to learn the correct and safe technique of the American Kettlebell swing. Like with every other exercise technique comes first to assure you to train the right muscles and avoid injuries especially in the lower back section. Stand with your feet shoulder width apart. Place the Kettlebell (handle running across you) between your feet in a line with your toes. The first step is to slightly bend your hips and push them backwards. Try to reach down with your hips until you can grab the Kettlebell. Keep your back straight (one line from hip to end). Push yourself up through your hips, stand straight at the top. Pull your shoulders down and back. Tense glutes firmly and push your feet in the ground. 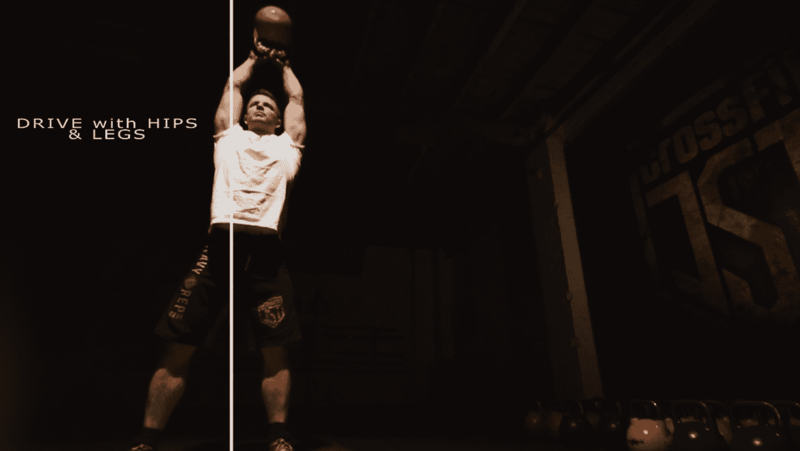 When straightening up fast, the Kettlebell will first swing to the front, away from your body. Use the force of the swing to push back with your hips again. Swing the Kettlebell backwards through your legs always keeping the alignment and tension of your body. Drive with hips and legs. 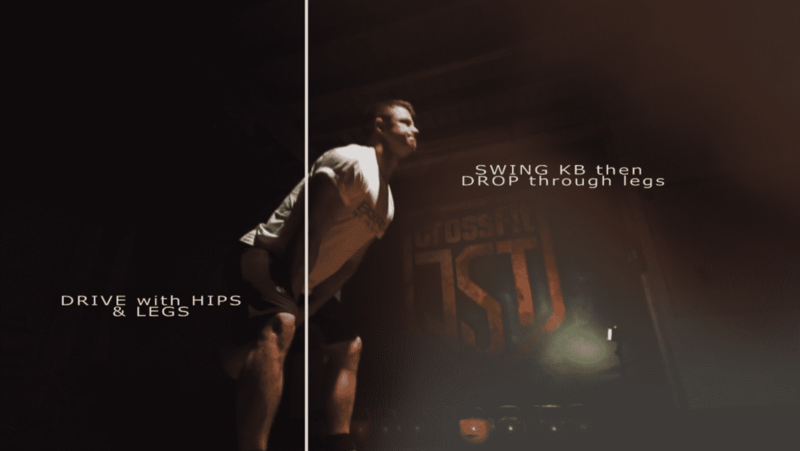 Swing the Kettlebell up front driving with hips and legs. Catch it at the top of the movement – above your head. 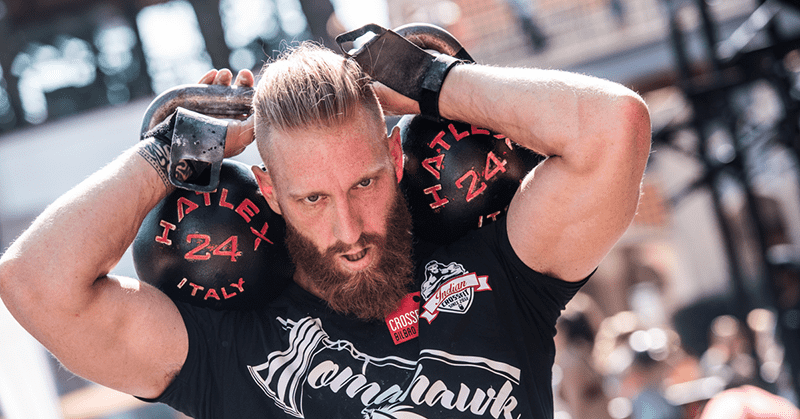 As a starting weight the IKFF (International Kettlebell and Fitness Federation) suggests 16 Kg/35 lb for an average trained male and 8 kg/17 lb for an average trained female. The next weights would be 20 Kg/44 lb, 24 Kg/52 lb and 32 Kg/70 lb.